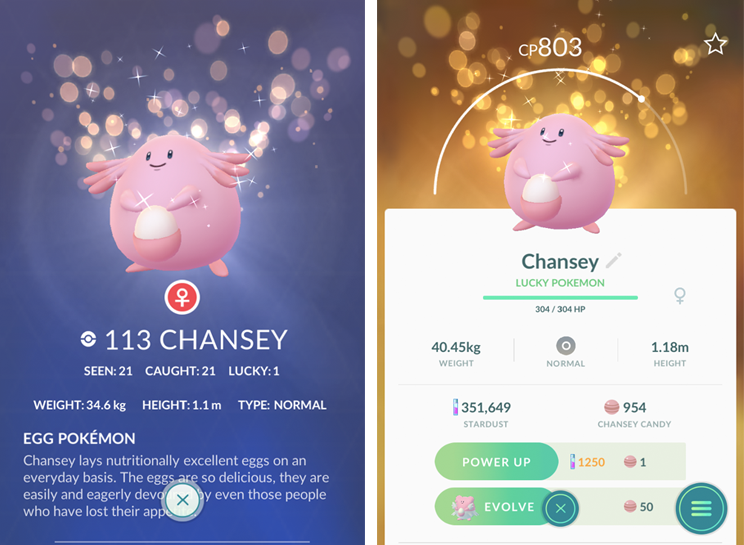 Pokemon Go keeps on adding new wrinkles to its game systems, and one such new addition is that of Lucky Pokemon – special, rare creatures that are desirable thanks to their beneficial status stats-wise – but first you have to know how to get Pokemon Go’s Lucky Pokemon on your team. In Pokemon Go Lucky Pokemon are essentially Pokemon with a unique status. Think of them as being a bit like shiny Pokemon, except their appearance is the same and there’s even the ultra, double-rare chance to actually find a Lucky Shiny Pokemon. Where Shiny Pokemon are differentiated by their unique appearance, Lucky Pokemon have a cooler, more useful benefit: they cost less Stardust to power-up. Specifically, Pokemon Go Lucky Pokemon cost 50% less stardust to power up, making them easy to boost the CP of and ready for battle. Stardust is one of the rarer, more difficult to grind resources in the game. On top of that, Lucky Pokemon will have good stats behind-the-scenes – typically an ‘IV’ stat of around 80%, where 100% is a ‘perfect’ Pokemon. Stats change when a Pokemon becomes Lucky, so this is actually a great way to turn a previously rubbish Pokemon into a really powerful one. Basically, getting a good, high-end Pokemon who ranks highly on our tier list of the best Pokemon in Pokemon Go in a lucky form is a real stroke of… well, luck. Obviously. The name makes sense. Essentially, a Lucky Pokemon’s appearance is tied to trading. When you perform a Pokemon Trade with another player on your friends list, there’s a chance that the Pokemon traded in both directions will become lucky Pokemon. There’s a further wrinkle to this: the longer a Pokemon has been in your possession, the more likely it will be that the Pokemon will ‘turn’ Lucky once traded. So a Pokemon caught back when Pokemon Go launched way back in 2016 will have a far higher potential chance of becoming a Pokemon Go Lucky Pokemon than one you caught just this last week – so to maximize the potential with your random chance, you’ll want to trade the oldest Pokemon you have with a friend. Just as a note, you’ll need to trade with somebody on your Pokemon Go Friends list, be Trainer Level 10 or higher and be within a decently close physical proximity in order to trade. Pokemon can’t be traded more than once, so you can’t swap back and forth with another player to get your favourite Pokemon on your team as Lucky, or to re-roll stats. Mythical Pokemon like Mew and Celebi can’t be traded at all. As mentioned briefly above, sometimes Niantic likes to toy with the systems of Pokemon Go and in that we get the occasional chance for things that are usually down to random chance to become a little more concrete. We’ve seen this with monthly events where Shiny Pokemon become more common, and so too is the case for Lucky Pokemon, where there’s now – as of September 2018 – a method to obtain guaranteed Lucky Pokemon. It was announced by Niantic in-game and on their twitter account. It’s pretty simple: if you have less than ten Pokemon Go Lucky Pokemon, any trade of a Pokemon that’s been in your possession since July or August 2016 will be guaranteed to be a Lucky Pokemon. As part of this change Niantic has also buffed Lucky Pokemon, so they have an even higher chance of coming out of the trade with powerful stats. What’s unclear is if Niantic will move these dates over time to make it so older Pokemmon will be guaranteed for players for their first ten Pokemon Go lucky Pokemon in later months – right now, if you weren’t an early adopter to Pokemon Go this guaranteed method doesn’t apply to you. We’ll update this page if the rules change, however. 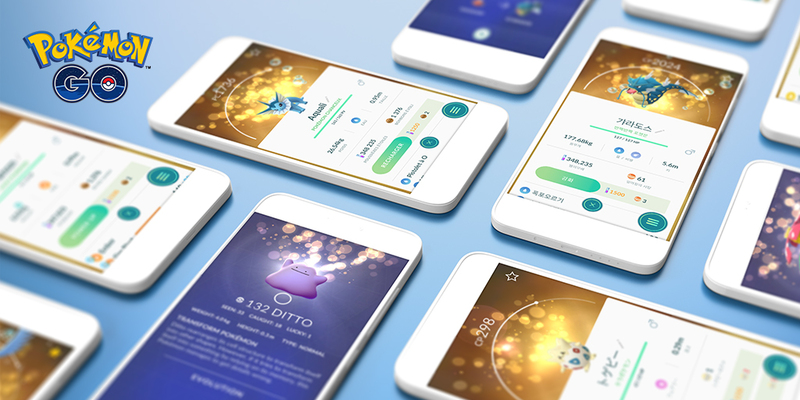 The second way of getting guaranteed lucky Pokemon is through the Lucky Friends mechanic – make best friends with someone, then become lucky friends, and your next trade will result in a Lucky Pokemon for both parties involved. There’s more about that on our Lucky Friend guide page.